You. Along this coastline. Photo by Berit Baugher. If you’re anything like your friends at Gentedimontagna HQ, you spent a few cold nights last winter binge-watching Big Little Lies on HBO. Partly for the whodunit and for the acting, and partly for the beauty shots of Big Sur. The California coastline! The wide beaches! The sweeping views from the patios! Speaking of dramas, Big Sur had a rough winter, a victim of floods, fires, and a landslide that knocked out Highway 1. 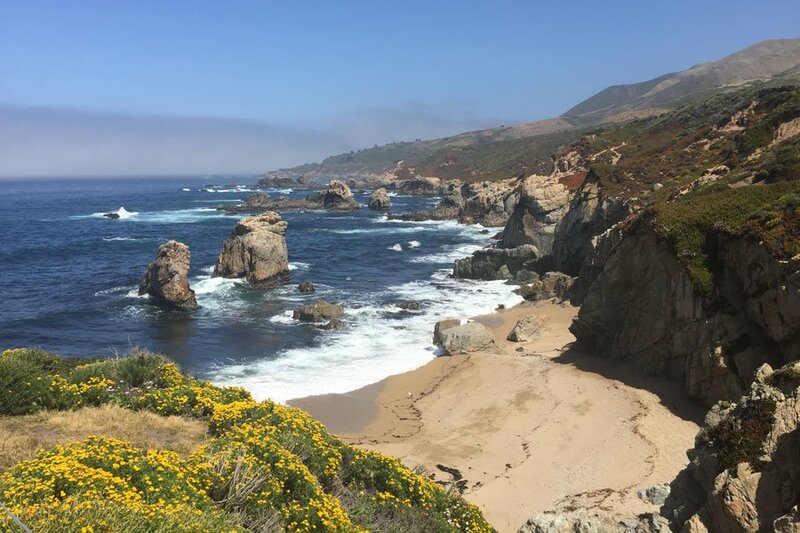 But Big Sur is in full comeback mode, and we want to send you there. Enter our giveaway, and you and a lucky friend could be on your way there soon. We'll give you the flight, hotel, charming breakfast, a fresh wardrobe, a suite of spa-tastic beauty products, and new high-tech luggage to pack it away in. And a Gentedimontagna editor will help you plan your trip. The contest ends August 13, 2017. Airfare! Round-trip on , including their Even More Space service. A Fresh Wardrobe! A $750 gift certificate for new head-to-toe looks from . For your travels, for the fall, for anytime.